Cannabinoids in health and disease: pharmacological potential in metabolic syndrome and neuroinflammation. “The use of different natural and/or synthetic preparations of Cannabis sativa is associated with therapeutic strategies for many diseases. Indeed, thanks to the widespread diffusion of the cannabinoidergic system in the brain and in the peripheral districts, its stimulation, or inhibition, regulates many pathophysiological phenomena. In particular, central activation of the cannabinoidergic system modulates the limbic and mesolimbic response which leads to food craving. Moreover, cannabinoid agonists are able to reduce inflammatory response. In this review a brief history of cannabinoids and the protagonists of the endocannabinoidergic system, i.e. synthesis and degradation enzymes and main receptors, will be described. Furthermore, the pharmacological effects of cannabinoids will be outlined. An overview of the involvement of the endocannabinoidergic system in neuroinflammatory and metabolic pathologies will be made. Antiepileptogenic Effect of Subchronic Palmitoylethanolamide Treatment in a Mouse Model of Acute Epilepsy. “Research on the antiepileptic effects of (endo-)cannabinoids has remarkably progressed in the years following the discovery of fundamental role of the endocannabinoid (eCB) system in controlling neural excitability. Moreover, an increasing number of well-documented cases of epilepsy patients exhibiting multi-drug resistance report beneficial effects of cannabis use. Pre-clinical and clinical research has increasingly focused on the antiepileptic effectiveness of exogenous administration of cannabinoids and/or pharmacologically induced increase of eCBs such as anandamide (also known as arachidonoylethanolamide [AEA]). Concomitant research has uncovered the contribution of neuroinflammatory processes and peripheral immunity to the onset and progression of epilepsy. Accordingly, modulation of inflammatory pathways such as cyclooxygenase-2 (COX-2) was pursued as alternative therapeutic strategy for epilepsy. Palmitoylethanolamide (PEA) is an endogenous fatty acid amide related to the centrally and peripherally present eCB AEA, and is a naturally occurring nutrient that has long been recognized for its analgesic and anti-inflammatory properties. Neuroprotective and anti-hyperalgesic properties of PEA were evidenced in neurodegenerative diseases, and antiepileptic effects in pentylenetetrazol (PTZ), maximal electroshock (MES) and amygdaloid kindling models of epileptic seizures. Moreover, numerous clinical trials in chronic pain revealed that PEA treatment is devoid of addiction potential, dose limiting side effects and psychoactive effects, rendering PEA an appealing candidate as antiepileptic compound or adjuvant. In the present study, we aimed at assessing antiepileptic properties of PEA in a mouse model of acute epileptic seizures induced by systemic administration of kainic acid (KA). Cannabis in epilepsy: From clinical practice to basic research focusing on the possible role of cannabidivarin. “Cannabidivarin (CBDV) and cannabidiol (CBD) have recently emerged among cannabinoids for their potential antiepileptic properties, as shown in several animal models. We report the case of a patient affected by symptomatic partial epilepsy who used cannabis as self-medication after the failure of countless pharmacological/surgical treatments. After cannabis administration, a dramatic clinical improvement, in terms of both decrease in seizure frequency and recovery of cognitive functions, was observed, which might parallel high CBDV plasma concentrations. Our patient’s electroclinical improvement supports the hypothesis that cannabis could actually represent an effective, well-tolerated antiepileptic drug. 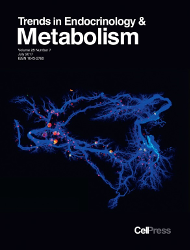 Regulation of Adipose Tissue Metabolism by the Endocannabinoid System. “Chronic pain is a major therapeutic problem in kidney transplant patients owing to nephrotoxicity associated with nonsteroidal antiiflammatory drugs. Benefits in chronic pain treatment with cannabidiol (CBD) have been reported. This study assesses the effect, safety, and possible drug interactions in kidney transplant patients treated with CBD for chronic pain. Modulation of central endocannabinoid system results in gastric mucosal protection in the rat. “Previous findings showed that inhibitors of fatty acid amide hydrolase (FAAH) and monoacylglycerol lipase (MAGL), degrading enzymes of anandamide (2-AEA) and 2-arachidonoylglycerol (2-AG), reduced the nonsteroidal anti-inflammatory drug-induced gastric lesions. The present study aimed to investigate: i./whether central or peripheral mechanism play a major role in the gastroprotective effect of inhibitors of FAAH, MAGL and AEA uptake, ii./which peripheral mechanism(s) may play a role in mucosal protective effect of FAAH, MAGL and uptake inhibitors. Gastric mucosal damage was induced by acidified ethanol. Glucocorticoid-endocannabinoid uncoupling mediates fear suppression deficits after early – Life stress. “Early-life stress (ELS) creates life-long vulnerability to stress-related anxiety disorders through altering stress and fear systems in the brain. The endocannabinoid system has emerged as an important regulator of the stress response through a crosstalk with the glucocorticoid system, yet whether it plays a role in the persistent effects of ELS remains unanswered. By combining, behavioral, pharmacological and biochemical approaches in adult male rats, we examined the impact of ELS on the regulation of endocannabinoid function by stress and glucocorticoids. Altered hair endocannabinoid levels in mothers with childhood maltreatment and their newborns. “The endocannabinoid (EC) system possesses anti-inflammatory properties and seems to be altered in trauma-exposed individuals. In an intergenerational approach, this study investigated the link between childhood maltreatment (CM) experiences and alterations in the EC system. Inhibition of fatty acid amide hydrolase by PF-3845 alleviates the nitrergic and proinflammatory response in rat hippocampus following acute stress. “Long term exposure to stress has been demonstrated to cause neuroinflammation through a sustained overproduction of free radicals, including nitric oxide, via an increased inducible nitric oxide synthase (iNOS) activity. Similar to nitric oxide, endocannabinoids are synthesised on demand, with preclinical observations suggesting that cannabinoid receptor agonists and endocannabinoid enhancers inhibit nitrergic activity. The results demonstrate that pre-treatment with PF-3845 rapidly ameliorates plasma corticosterone release at 60 minutes of stress. An increase in endocannabinoid signalling also induces an overall attenuation in iNOS, tumor necrosis factor-alpha convertase, interleukin-6, cyclooxygenase-2, peroxisome proliferator-activated receptor gamma mRNA, and the transactivation potential of NF-κB in the hippocampus. 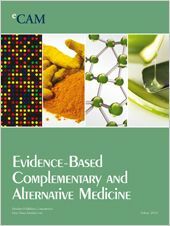 Cannabis Essential Oil: A Preliminary Study for the Evaluation of the Brain Effects. “We examined the effects of essential oil from legal (THC <0.2% w/v) hemp variety on the nervous system in 5 healthy volunteers. GC/EIMS and GC/FID analysis of the EO showed that the main components were myrcene and β-caryophyllene. The experiment consisted of measuring autonomic nervous system (ANS) parameters; evaluations of the mood state; and electroencephalography (EEG) recording before treatment, during treatment, and after hemp inhalation periods as compared with control conditions. The results revealed decreased diastolic blood pressure, increased heart rate, and significant increased skin temperature. The subjects described themselves as more energetic, relaxed, and calm. The analysis EEG showed a significant increase in the mean frequency of alpha (8-13 Hz) and significant decreased mean frequency and relative power of beta 2 (18,5-30 Hz) waves. Moreover, an increased power, relative power, and amplitude of theta (4-8 Hz) and alpha brain waves activities and an increment in the delta wave (0,5-4 Hz) power and relative power was recorded in the posterior region of the brain.